It is my honour and pleasure to introduce you the scientific journal Molecular and Experimental Biology in Medicine (MEBM). 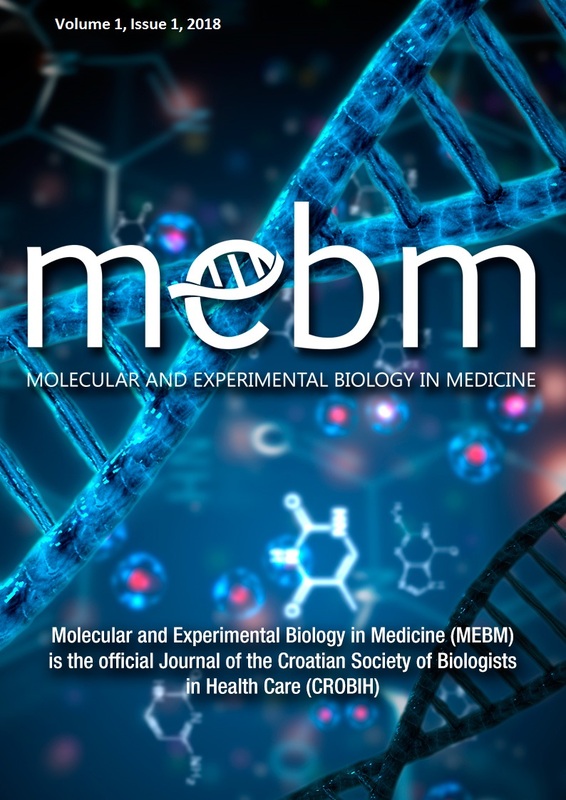 The journal is published under the patronage of the Croatian Society of Biologists in Health Care (CROSBIH) and with support from the Faculty of Science, University of Zagreb. MEBM is a bi-annual, peer-reviewed, open access journal without publication fees for the authors. We hope that in this way, through our Journal, we will achieve our two main goals: publication of scientific information based solely on relevance and scientific value; and a free and unlimited access to such information for all. This, however, ultimately depends on you, esteemed readers and authors, as your contribution in terms of sending us your results for review and possible publication is of immeasurable value in launching a scientific journal. Therefore, I invite you to have a peek at our first issue and let us convince you that MEBM is the right choice for publication of your data. In the end, I wish you all a great and successful 2018 and I am looking forward to your contribution to the next issues of MEBM. CAN WE MAKE INTRACYTOPLASMIC SPERM INJECTION (ICSI) SAFER AND MORE EFFECTIVE?